This is the festival’s debut, featuring live music and DJ sets from DJ Mellow, Acarajazz, and Liniker e Os Caramelows. 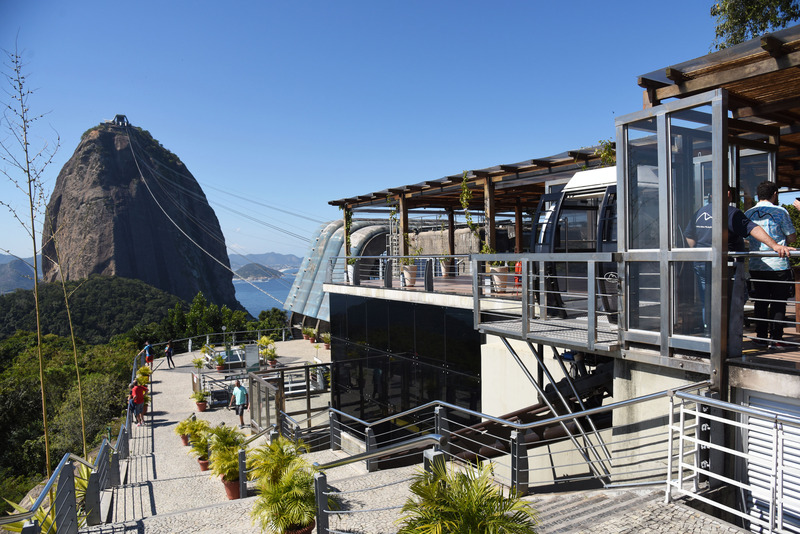 RIO DE JANEIRO, BRAZIL – This Saturday, September 29th, the ‘Pipoca Festival’ (Popcorn Festival) will come to Rio’s spectacular ‘Morro da Urca’ (Urca Hill) for a celebration of all things sustainable and Brazilian, with a mixture of music, art and food trucks. There will also be a chance for participants to see the exhibition ‘Intervenções Urbanas’ (Urban Interventions) which presents works from ArtRio’s 2018 fair, and which will be exhibited in the ‘Bondinho Pão de Açúcar’ (Sugarloaf Mountain Cable Car) between September 25th to September 30th, photo courtesy of Alexandre Macieira/Riotur. From 6PM onward, the ‘Anfiteatro do Morro da Urca’ (Amphitheater of Urca Hill) will be hosting musical sets from DJ Mellow, Acarajazz, and the headliner of the evening, Liniker e Os Caramelows. While the music is going on, food trucks will be scattered throughout the venue offering some of the best of Brazilian food, including many vegetarian and vegan alternatives. The festival is also keen to promote a message of sustainability and responsibility. All of the stage props will be made entirely of reusable materials; and in addition to this, the organizers will also be obliging visitors to use a reusable ‘Copo Eco’ (Eco Cup) and recyclable straws. The night will kick off with a set from DJ Mellow, who is a producer, DJ, creative director and professor of entrepreneurship and innovation. He is passionate about the diversity of Brazilian music and is one of the creators of the Pipoca Festival. Following on from DJ Mellow, and representing the North-Eastern state of Bahia, will be the musical group AcaraJazz, which includes the Bondesom jazz ensemble, who will perform both instrumental and sung versions of Bahian music classics, and DJ Eppinghaus, who will be playing some of the best and freshest Brazilian, Latin American and African sounds. Headlining the night is Liniker e Os Caramelows, a musical group that plays contemporary Brazilian soul music, taking inspiration from powerful voices such as Elza Soares and Tom Zé. Providing the food will be Zappa, who serve both vegetarian and beef burgers; and ‘Batata Recheada Da Catia’ (Stuffed Catia Potato), who cook sweet potatoes stuffed with various flavors with meat, chicken, or vegetables. Other culinary options will be Lenaide Mota, who have feijoada cookies, pastries, acarajé (traditional North-Eastern fried bean and prawn ball) broths and more. While ‘Itinerante Sabor’ (Itinerant Flavor) has more North-Eastern food, with gourmet acarajé, which is also available vegan. Paula Lanches will be offering traditional food from Minas Gerais such as sausages and cheese, and Mini Gi Pâtisserie has handcrafted and tasty sweets.